Hiring? Toptal handpicks top IT developers to suit your needs. Good stuff. Personally I agree with the need to emphasize security from the beginning. However my experience has been that the decision makers within an organization just don't see it the same way, and only seem to be motivated after a crisis has already occurred. Any advice on how to persuade others to not be short-sighted when it comes to security? I have not yet found any arguments that work. "only seem to be motivated after a crisis has already occurred" That's a good point. Maybe it will take a highly publicized security debacle for the rest of the industry to start taking IoT security seriously? That could be a problem with small companies and very cheap IoT products - they will only care about their margins, not user security. Great remark! But I would also point out here the recent security patch issued by BMW for their in-car "connected" system: http://oemhub.bitdefender.com/bmw-security-flaw-iot-security-still-an-afterthought If they overlooked basic security measures when they built the smart car system, what can we expect from manufacturers with smaller budgets and less of a reputation to care about? The main problem with the "Internet of Things" is the whole data architecture of the system. I don't want my thermostat talking directly to my refrigerator or my smoke alarms sending text messages directly to my phone. I don't want my lights to come on because my security alarm knows how to send direct commands to the light controller. I don't want all my sensor data uploaded to some Internet web site (encrypted or not) so that some company can gather statistics on what time I go to bed. I want a data management layer that sits between all my smart devices and lets me control everything. I want that data layer to be able to exist on storage devices that I control, not some third party. The data layer would allow all the smart devices to create "smart data objects" that can store sensor information and to take specific actions if certain data objects exist. The only things that smart devices need to know is how to create these data objects and how to take specific actions when other kinds of data objects exist. Security and privacy are handled by this data management layer, not the devices themselves. With such a system in place, the only thing my smart smoke detector needs to be able to do is create a "smoke detected" data object or a "current battery level" data object. It doesn't need to know how to take any kind of action beyond that. Now all I need is an application that I control that is monitoring the data storage layer for any "smoke detected" objects. This application will check my custom policy (that I created) and determine if it should create a "call fire department" data object. My smart phone (that knows how to call the fire department) watches for such objects and will call if it finds one. The smoke detector and the smart phone don't need to know anything about each other. If later I decide that I want to change my policy so that my garage door also opens and my smart car backs itself out of the garage when a "smoke detected" object appears, then neither the phone nor the smoke detector has to change a thing. Great article! Love the way the problems were listed and explained. A must read for all the tech aficionados! Hi I am also working on development of an IoT product. We are using IPSEC protocol for secure communication across the devices and servers. We feel it is safer. But I am not really sure why people is not using IPSEC or are there issues with that, which I have not addressed ? 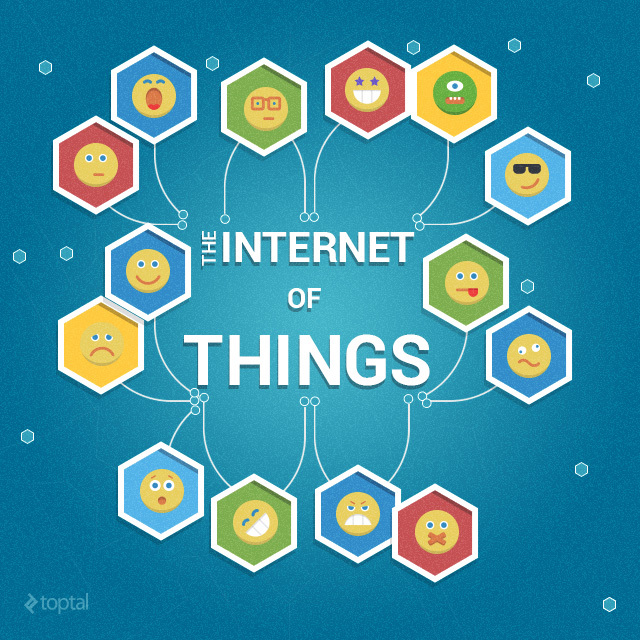 Its always confusing to understand the new tech with IoT it is even more so. 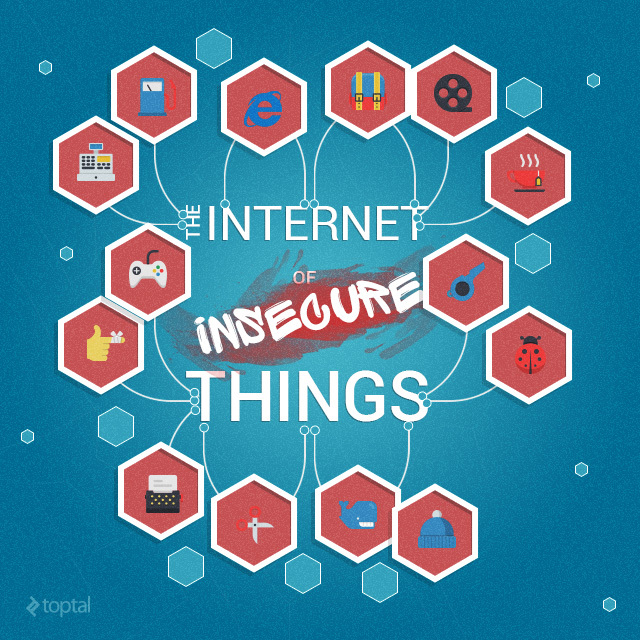 I read a same report http://bit.ly/2dcUt89 explaining the challenges of secure IoT. Well, it took two years, but we finally got that huge debacle I was talking about: http://www.pcworld.com/article/3134056/hacking/an-iot-botnet-is-partly-behind-fridays-massive-ddos-attack.html Let's see if this is enough to get decision-makers thinking. 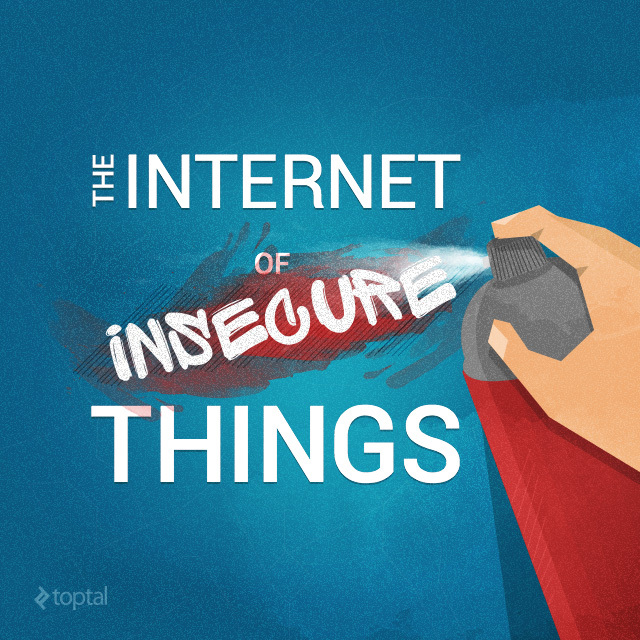 IoT is becoming a huge liability.